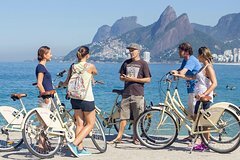 There are many areas of Rio de Janeiro that are ideal for exploring on foot or by bicycle, which is easy to do thanks to the citywide Bike Rio rental stations. You can also find trails and places to hike that are accessible by public transit. By exploring the city on foot you can really absorb the details and things you might otherwise miss and you can move along at whatever pace you are comfortable with. 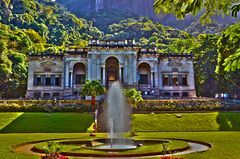 Below you will find a quick introduction to our self-guided Rio de Janeiro walking tours and hikes as well as some fully guided tours that you can reserve ahead on our site. Just click on any of the links for more information on each one. 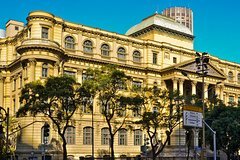 Central Rio de Janeiro Walking Tour: There is so much to see in the older centre of the city with many historic buildings and landmarks, museums, parks and more all concentrated in a relatively small area. 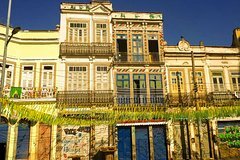 You are sure to love exploring this Centro in Rio de Janeiro and taking in its historic charm at your own leisurely pace with our self-guided 4 kilometre walking tour. 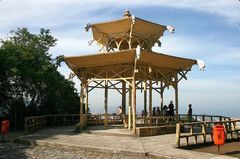 Forte Duque de Caxias - Hike and Lookout: This relatively short hike is well worth the effort. 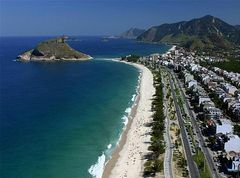 Starting at the eastern edge of Copacabana Beach the Forte Duque de Caxias trail leads up to a lookout offering fabulous views along the beach and beyond and towards Sugar Loaf Mountain in the other direction. The opportunity to explore the historic fort at the top is an added bonus. 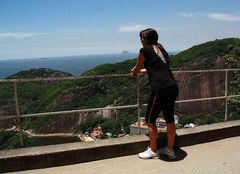 Morro Da Urca - Hike and Lookout: This moderate hike takes you up to the same level as the lower stage cable car up Sugar Loaf Mountain. It can easily be done by anyone in reasonable shape and will reward you with spectacular views from the top. 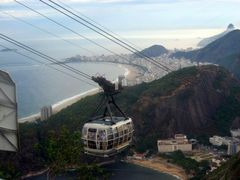 Once there you will have the option to pay and ride the cable car back down or all the way to the top of Sugar Loaf. Pista Cláudio Coutinho Walking Trail: This is an easy and pleasant walk along the base of Morro Da Urca at the edge of the water. It is a great way to get away from the crowds of the city and enjoy a peaceful walk with some spectacular views. Like all of our walks and hikes it is quite easy to get to by public transit. 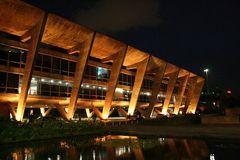 Rodrigo de Freitas Lagoon Walk: Rodrigo de Feitas Lagoon is a great place to explore on foot. Our page about this scenic body of water situated between Ipanema and the mountains will give you directions to a couple of starting points for exploring the Lagoon. From there you can explore on foot as far as you desire. Should you decide to walk around the entire lagoon it is about 7.5 kilometres which is about a 1½ hour walk. Vista Chinesa Hike: The Vista Chinesa Hike is a little longer hike than all the above, but follows a paved road so it is not difficult. 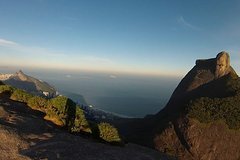 At the top you will be rewarded with what some consider to be one of the best vantage points from which to view Rio de Janeiro. It takes about an hour from where the bus drops you off to walk to the viewpoint and a bit less going back since it is down hill. We work with small groups so the tour is more personalized and so the guide can give more information and attention to everyone.MINIMUM 2 PAX PER RESEVATION. 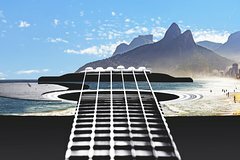 Take a stroll in the beautiful beach of Copacabana and Ipanema, and find out step by steps the story of Bossanova and its protagonists. This rhythm that since the 1950s conquered the romantics. Bossa Nova, literary means “new trend” mixing jazz and samba beats creating fascination around the world. 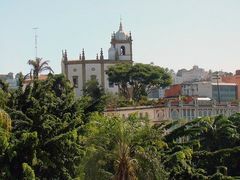 The convent of Santa Teresa was built in the 1950s and gave origin to this charming neighborhood of narrow streets that attract travelers and artists located on the top of Santa Teresa Gil. 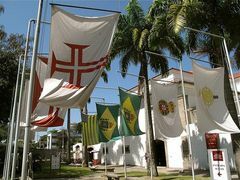 Learn some of the stories of colonial times Rio de Janeiro, as you walk around one of the most popular hang outs in town. Imperial Rio comes to life in this soundwalk, as you walk around the streets of downtown. 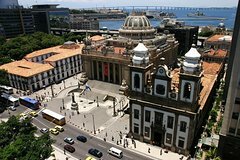 From the arrival of the Portuguese royal family in 1808, walk around the most emblematic architectural treasures the city has to offer. 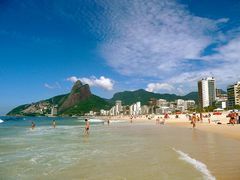 Our tour of the most famous beaches of Rio de Janeiro is totally new in the city. During the day you can enjoy a tour full of energy and warmth with thousands of "cariocas" that frequent the beaches in the summer. 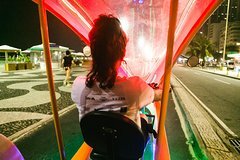 During the night you can take a super fun and colorful ride with the Tuk's illuminated by Led lights. 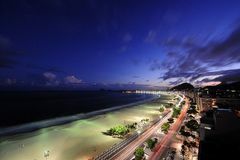 It is a wonderful climate that only the high season of Rio can offer! 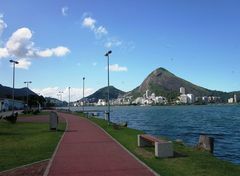 Let's go through a total stretch of 10 Miles on cycle routes, during from 60 to 80 minutes, back and forth, from the beach of Leme, passing the beaches of Copacabana, Arpoador, Ipanema and Leblon. During the tour we have photo stops on the famous Arpoador Rock which has the most beautiful sunset in the world. It's a stunning ride and it will stay forever in your memory. 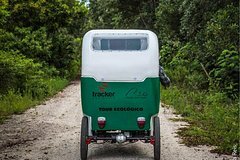 We will record everything from inside the Bike Tuk and we will give you the free link of this video to have as a souvenir. It is an ideal program for couples or friends who are looking for an exclusive and recent activity in the city. The Ecological Tour is 8 km of pure adventure and fun! 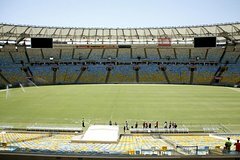 We will get in touch with nature, animals and know everything about the main legacy of the Rio2016 Olympic Games. 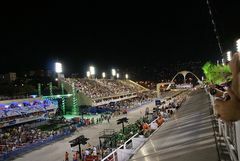 It is a perfect tour for children and families, of all ages, who seek to enjoy a beautiful program in a NEW and paradisiac place of Rio. We will enter in trails of the closed forest that are around the Olympic Field observing diverse species of animals and vegetables . 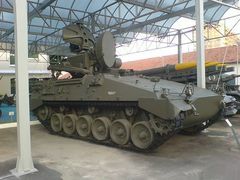 Some are endangered and are preserved on site. The site is environmentally awarded and new tourist spot of the city.We are the only drivers allowed to have access to the trails. 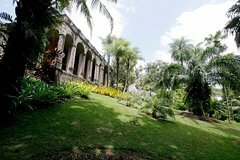 Among plant species to be observed, we highlight the ferns, cacti, victorias and cambarás. In relation to the animals we can observe bureaucratic owls, capybaras, herons, lizards, mallards, miscellaneous birds, marmosets, quercers, as well as the yellow-faced alligator and the restinga butterfly, species threatened with extinction. 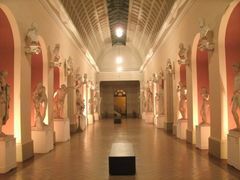 It is said that a city (and its culture) is better known in its streets than in its museums. And Rio is no exception! Each step in the hot asphalt will take us to Rio's immediate past: you will visit the most important cathedrals, palaces, and squares during the Colonial Era, learn anecdotes, myths and legends of emblematic characters of the street and you will see how the daily life of the Carioca people was in their time. 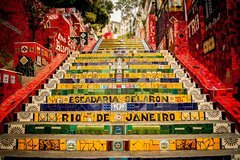 Walk with us through the most emblematic places in the heart of Rio and let yourself be carried away by its charms. Rio is more than sun and sand. Our city is full of movement, color, and an incredible good vibe. But it wasn't always like that. Its history is full of ups and downs that hide hundreds of secrets, even with the naked eye, without you noticing in its streets. 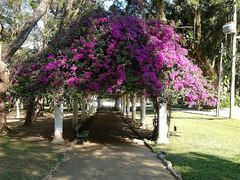 That's why we want you to explore it from that historical side, much older than the Samba and the carnival. 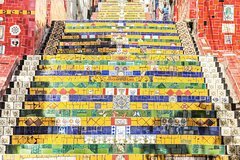 Walk with us through the most important squares, churches and colonial monuments for Carioca's cultural identity and take a picture on the most colorful and incredible stairs in the world! 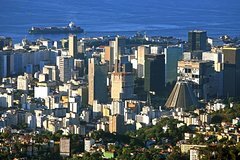 There is so much to do and see within this city, which is why a Tour One Day in Rio de Janeiro is the prefect solution for those who want to see it all in a short period of time.Rio de Janeiro is commonly known as the Marvelous City, which is no surprise due to all the beauty and phenomenal attractions that can be found there. A one-day city tour Rio de Janeiro can be started in many different ways. Roterios personalized and different from traditional ones. We offer quality and safety for you to enjoy your trip with peace of mind. We also offer a digital photo album with beautiful moments of full adventure free use. 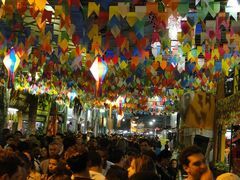 Our job is to connect people who want to experience a fun, safe, engaging and enlightening side of Rio de Janeiro's nightlife. We will be visiting bars, clubs, and parties unique to the city. Our guides will provide knowledge of each location, immerse the guest in culture, and provide a V.I.P. experience that includes cheaper prices, more free drinks and removes the hassle of having to pay entrance to a good venue. Our low price combined with our exclusive deals made with our partners guarantee that you will not only save money with our tour, but will have a truly unforgettable time, making BEST STRANGERS FOR LIFE! Armação dos Búzios appeared to the world in 1964, after Brigitte Bardot chose until then this quiet and unknown village to spend her vacation. After the stay of this international star, Búzios has frequently become visited by tourists from all over the world, making it one of the most important destinations in the world. 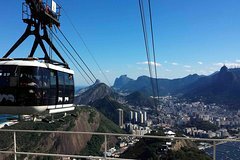 The Rio 40 Graus Turismo, one of the biggest sightseeing companies in the city, offers the one day package that has become a success, for making life much easier for the visitor. 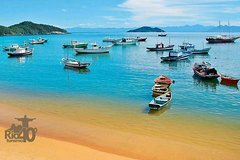 You will start by leaving Rio de Janeiro on an executive bus and upon arriving in Búzios, you will begin your boat trip. 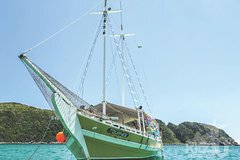 The agency has partnerships with the best local boat service, restaurant and having the most knowledge guides to show the city. 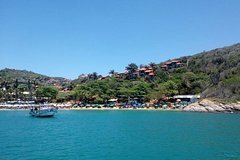 You will have the opportunity by the boat trip to see the 12 most beautiful beaches and the famous Rua das Pedras in the downtown, where the lunch is served as well. 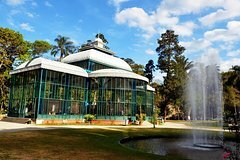 Petropolis is also known as Imperial City, as it was the preferred route of Dom Pedro II for his moments of leisure and rest. The city remains with its elegant charm where the past and the present follow intertwined, offering colors, flavors, surprises and satisfaction. 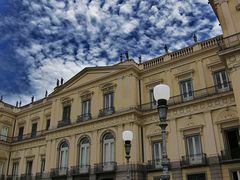 The Rio 40 Graus Turismo will take you to the main sights of Petrópolis, showing why the royal family adopted this place as their holiday destination. You will have lunch in one of the best restaurants in the region and enjoy the flavors that the mountain region of Rio offers. 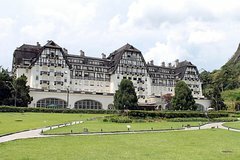 Petropolis is also known as Imperial City, as it was the preferred route of Dom Pedro II for his moments of leisure and rest. The city remains with its elegant charm where the past and the present follow intertwined, offering colors, flavors, surprises and satisfaction. 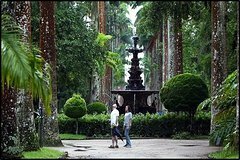 Rio 40 Graus Turismo will take you to the main sights of Petrópolis, showing why the royal family adopted this place as their holiday destination. You will have lunch in one of the best restaurants in the region and enjoy the flavors that the mountain region of Rio offers. And for you, who wants to know more about this wonderful city, we have a tour of the Bohemia Brewery, where you will still be entitled to 3 tastings on this tour. Armação dos Búzios appeared to the world in 1964, after Brigitte Bardot chose until then this quiet and unknown village to spend her vacation. After the stay of this international star, Búzios has frequently become visited by tourists from all over the world, making it one of the most important destinations in the world. 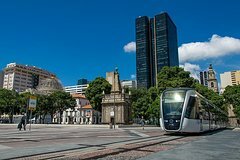 The Rio 40 Graus Turismo, one of the biggest sightseeing companies in the city, offers the one day package that has become a success, for making life much easier for the visitor. The agency has partnerships with the restaurant and having the most knowledge guides to show the city. 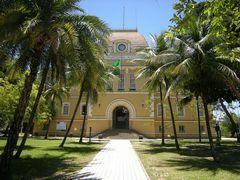 You will have the opportunity by the boat trip to see the 12 most beautiful beaches and the famous Rua das Pedras in the downtown., where the lunch is served as well. Full Day In Rio with our best guides putting Rio on your hands. 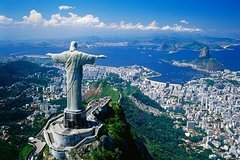 Rio de Janeiro is home to one of the biggest and most famous landscapes in the world, the Corcovado hill, where the main symbol of Rio de Janeiro and Brazil, Cristo Redentor, is located. Along with the beautiful beaches and breathtaking landscapes between the mountain and the sea, you will feel privileged to live a unique experiences in this city that has been designated as a World Heritage. Rio 40° Turismo offers a complete package for you to enjoy the Cidade Maravilhosa no losing the most important thing to make your trip through Rio unforgettable. 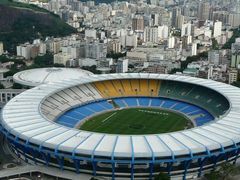 Visit and be enchanted by the air way of the Pão de Açúcar and the Morro da Urca, The colorful and bohemian Escadaria Selaron, The majestic Metropolitan Cathedral, as well as the sambódromo of Rio de Janeiro and an external visit to the marvelous world-wide soccer's place, the Maracanã Stadium. The tour ends at the DaLapa Restaurant with free buffet. Armação dos Búzios appeared to the world in 1964, after Brigitte Bardot chose until then this quiet and unknown village to spend her vacation. 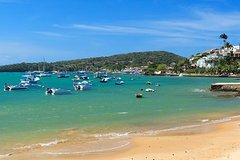 After the stay of this international star, Búzios has frequently become visited by tourists from all over the world, making it one of the most important destinations in the world. 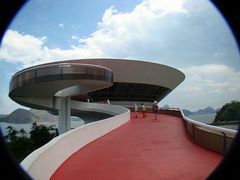 The Rio 40 Graus Turismo, one of the biggest sightseeing companies in the city, offers the one day package that has become a success for making life much easier for the visitor. The agency has partnerships with the best local boat service and having the most knowledge guides to show the city. You will have the opportunity by the boat trip to see the 12 most beautiful beaches and the famous Rua das Pedras in the downtown. Lunch will be served in the Buzin restaurant, which represents the best and most diverse cuisine in the city. In addition to the unique natural benefits and beauty, this package offers a taste experience as a complement. Arraial do Cabo is known as the "Brazilian Caribbean" because its landscape is an Atlantic paradise surrounded by beaches that enchant locals and tourists who visit the place. 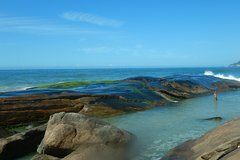 The town gathers some of the most beautiful views of the Brazilian coast, such as dunes, restingas, lagoons, beaches and shores. It is also chosen by divers, who find the best spots in the country to practice the sport. In addition to the transparent waters, Arraial do Cabo hosts a diverse marine life - they are turtles, squids, lobsters, stingrays and even dolphins that live in harmony in the islands of the Farol and the Pigs. The Rio 40 Graus Turismo will take you to all of these points. In addition to enjoying the boat ride full of enchanting landscapes and with the right to stop at Farol beach, one of the most beautiful in Brazil, you will finish your trip at Água na Boca restaurant, one of the best places to discover the flavors that only the Arraial do Cabo offers. 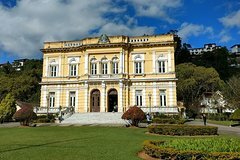 Petropolis is also known as Imperial City, as it was the preferred route of Dom Pedro II for his moments of leisure and rest. The city remains with its elegant charm, where the past and the present follow intertwined, offering colors, flavors, surprises and satisfaction. 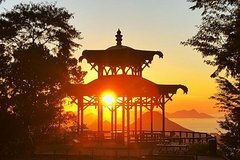 The Rio 40 Graus Turismo will take you to the main sights of Petropolis, showing why the royal family adopted this place as a holiday destination. Besides the World’s well known carnaval parades of Rio, the true essence and the most democratic and coolest way of celebrating the Carnaval is joining the countless street carnaval bands and parties; the so called “blocos”.Blocos are made of groups of friends of a particular street, neighborhood, or bar, that informally forms a band that parades and play their music around a couple of street blocks. Some of these bands attract no more than a few hundred people and other more traditional and well known attracts up to 1 million party goers!Only in 2016 there were up to 508 blocos in the whole city and in the 5 days of festivities there were over 4 million people in the streets of Rio.But amongst so many blocos, there are always many questions: how to find the best one? with nice music? not so crowded? Safe? Where to find toilets? And cool people to party with?With us all these questions are answered and you don’t need to worry about it! 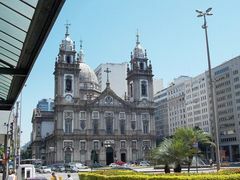 We offer a complete itinerary, with the main sights of the city of Rio de Janeiro. With safety and comfort. * The two brothers tour is the only one that has the advantage of fluidly joining the history of the trail and the local environment (Vidigal), so our customers gain more value with an excellent cost-benefit. 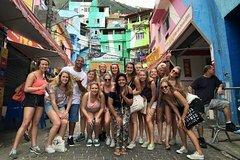 * The tour with the natural one of Rio is always with local guide and with us the tourist will have the chance to know up close the house of a resident of the favela of Vidigal inside being greeted by him and toasting with a delicious Caipirinha free! * The tour of two brothers of Natural Rio is super original because that gives their client the opportunity to climb the favela of motorcycle taxi or the old Kombis: what tourists in general think super cool !!! * The contact two brothers is the only tour that offers Pit stop on its own terrace facing the sea where the client can the tourist can cool down and take beautiful photos next to their friends! * Our guides are all certified and accredited in the ministry of Brazilian tourism. 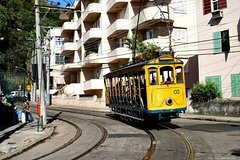 In this tour we will climb the hill by the cable car to the top along with residents where the tourist will feel the true Carioca climate, touring the alleys and alleys where the history of the favela is told. 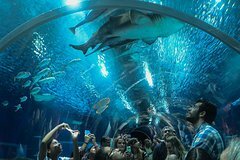 The city of Rio de Janeiro, with a natural vocation for tourism connected to the sea, has long deserved a Marine Aquarium of international public visitation.The Tour takes place twice a day, in the morning and in the afternoon. Vidigal Hang Out is a way to get to know one of the most cultural and engaged favelas of Rio de Janeiro feeling part of it.No Jeep tours or Vans. Aiming for a greater integration between tourist and community we will walk local transport, meet favela residents, visit local places and check out the most beautiful view of the city. 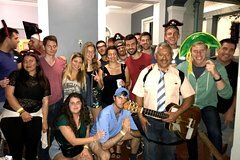 We'll also have beer at a local community bar.With small groups of maximum 6 people you will always feel welcome.A cultural and social tour and with security you will make the tour with a local resident.This tour will open your eyes, your mind and your heart. 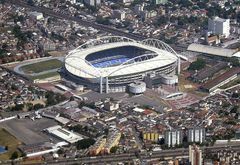 Certainly you will leave with another opinion about the favela. Come to the hill! 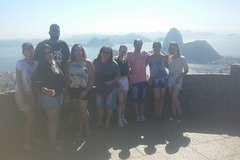 This tour was planned thinking about the tourist who wants to know the main sights of Rio de Janeiro with comfort, safety and without worries. After all, when we travel, we want rest.That's why we offer air conditioned transportation and an accredited guide available to accompany passengers in all the attractions of the route from the meeting point. 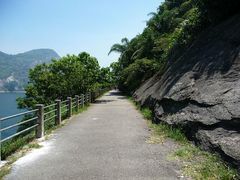 Pedra da Gavea is one of the most famous rock formations of Rio de Janeiro and the most admired adventure in the city. You will be accompanied by an experienced guide and have a once-in-a-lifetime experience.This is the ideal hiking tour for those who enjoy lots of adventure and adrenaline. 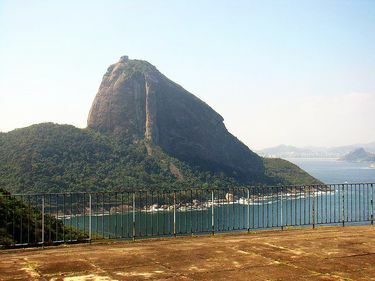 You will go to the summit of Pedra da Gavea, which is the biggest block of solid rock by the sea in the world. 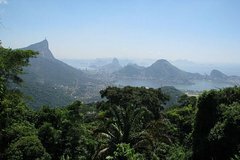 At the top of its 844 meters, you can see the Lagoa Rodrigo de Freitas, the Jockey Club, the Botafogo cove, the Aterro do Flamengo, the Sugar Loaf mountain, the Morro da Urca, the Pedra Bonita, the Corcovado - Christ the Redeemer Statue and the other mountains of the Tijuca Forest and landmarks such as Guanabara Bay, Ipanema, Leblon, São Conrado, Barra Tijuca and the Serra dos Orgaos Region.This hiking tour takes place inside the Atlantic Rainforest, so you have great chances to encounter wild animals during the hike. Enjoy the Horto waterfalls tour with a specialist guide. 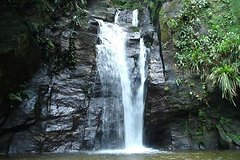 The hike begins at Jequitibá Waterfall and ends at Shower Waterfall, also known as Box Waterfall. All waterfalls in the tour are permitted for bathing and shower. 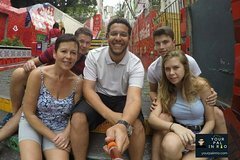 After boarding at the tourist area and downtown Rio de Janeiro we will go through the main attractions of the Historical Centre of Rio de Janeiro. As you walk our guide will detail information about the stunning architecture of the historical center of Rio de Janeiro, its history, culture and art.The attractions that we will pass through are the elegant Imperial Palace of Praça XV, the Arcos do Teles, the Centro Cultural dos Correios, Casa França-Brasil, the Centro Cultural Banco do Brasil, the famous Candelária church, Mosteiro de São Bento (without internal visitation), Avenida Rio Branco, Colombo Bakery, Cinelândia, Municipal Theatre, the fine arts museum, National Library, Palace Pedro Ernesto, Arcos da Lapa and the historic Selarón staircase. 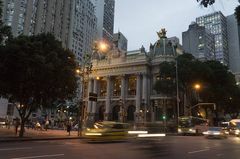 Round-trip transportation to the hotels of tourist district and downtown Rio de Janeiro are included in the tour. 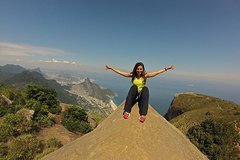 Morro da Urca hiking is the most authentic option when visiting the Sugar Loaf in Rio de Janeiro. It's easy to see the presence of monkeys while hiking through the forest, making this tour very enjoyable and entertaining. 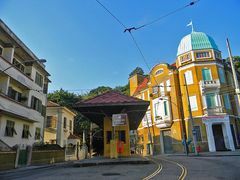 Have fun with this light hike and ride the world's famous Sugar Loaf cable car. Aren't you tired of same old same old tour guides? Wouldn't it be great to get to know the city with a local? Even better if it’s your pal, right?My tour usually lasts around 8 hours, but I’m not strict about times. 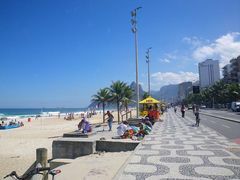 You can choose morning and afternoon, afternoon and evening… I’ll tailor the itinerary to your particular interests, help you get to all of the places, and figure out the logistics to maximise your time in Rio.We’ll be using public transport (preferably the subway) and can stop as needed for coffee and snacks. Please be aware that meals, transportation, and entry fees (for museums, attractions, etc.) are not included in the price. 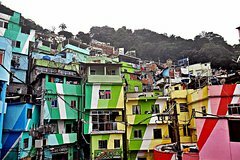 Discover Rio and its favelas ( slum ) with a local expert guide. Immerse yourself in the local culture and explore authentic favelas with your local guide. 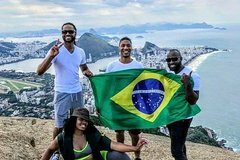 Meet local people and learn about Carioca lifestyle. 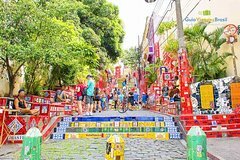 Your local experience starts with a walk through 2 communities of Rio, known as Favelas (Slum) where you will have a total immersion in daily life of a Carioca (name given to people born in the city of Rio). 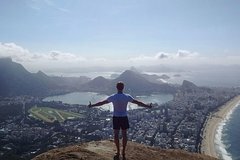 Favelas from Chácara & Vidigal have one of the more stunning views of the city, so your tour will includes a hike up to the 2 Brothers, the hike starts from the top of Vidigal where you will have a chance to walk inside of it. 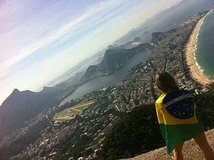 ( 3 hours walk) Coming down from the hike you will stop at a local place for a workshop on how to prepare the famous Brazilian Caipirinha with an expert local Barman, learning the history and curiosities of this famous drink (1 hour). You will taste various drinks.Get ready to live an amazing, off the beaten path experience in Rio de Janeiro. 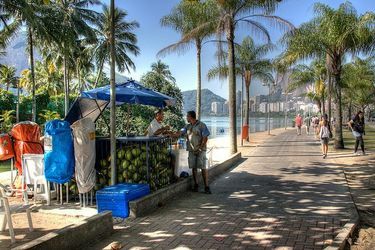 Enjoy a bike tour of Rio de Janeiro's "zona sul". 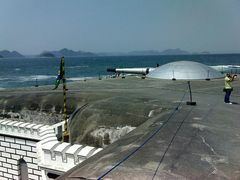 In a small group, you will visit Rio's main sights. 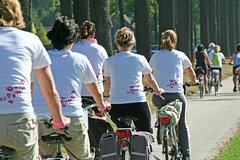 Cycling is the best way to cover long distances and, in just three hours, you'll be able to cover what would take you two days on foot. Your fun and knowledgeable guide will give you information and fun facts about the sights plus tips to better enjoy your stay after the tour. 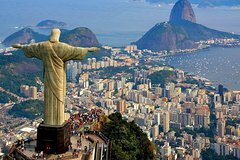 Explore Rio de Janeiro´s city center visiting different sites in this 3-4 hours walking tour, made along with a professional tour guide. 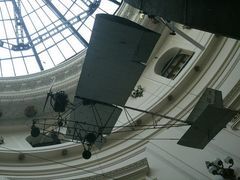 Visit historic buildings and learn about the history of the city and how it was built. 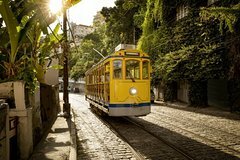 If you want to have a different and cultural morning, come with us and take the subway to enjoy a guided walking tour in downtown Rio. Many cariocas still refer to downtown as “the City”, as if it were a city apart, so busy, profuse and attractive. 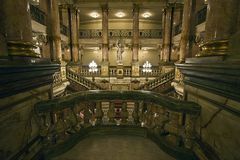 Rich in history and buildings of great architectural appeal, the center of the former capital of the country is best absorbed in the details when you walk through it.You can also extend your tour and take the afternoon part of this walking tour. 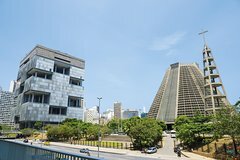 Please check our complete walking tour called "Rio Walking Tour - City Center plus Olympic Boulevard and Museum of Tomorrow"
Enjoy a small-group, 4-hour bike tour visiting Copacabana, the celebrity cemetery, São João Batista, the Bay of Guanabara, Lapa, the colored Steps of Selaron and Rio’s historical center. 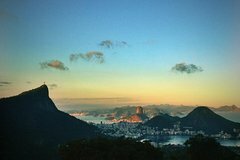 It gives a perfect view of Rio de Janeiro in all its diversity. 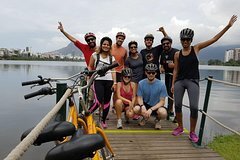 Enjoy a small-group, 3-hour bike tour visiting Copacabana, with a view of Sugar Loaf, and cycling around the Lake area and along Ipanema Beach. 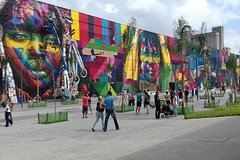 The tour gives a great impression of the beautiful and popular South Zone of Rio. See Rio by bike on this 7-hour tour of the South Zone and Old City of Rio de Janeiro. 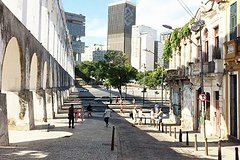 With a small group, see popular beaches such as Copacabana and Ipanema before visiting the colonial area of Lapa, the historic city-center and the Selarón Steps. 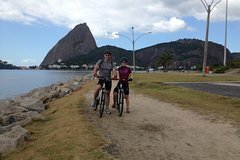 As you ride the bike, stop for wonderful views of the Rodrigo de Freitas Lagoon, Christ the Redeemer and Sugar Loaf Mountain. A typical Brazilian lunch and biking equipment is included. 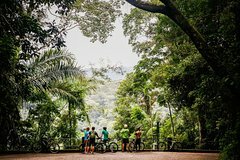 Embark on a thrilling 5-hour bike tour, beginning at the Christ the Redeemer Statue and going through Tijuca National Park with a small group, limited to 10 people. Start the day atop Corcovado Mountain at the Christ the Redeemer statue. 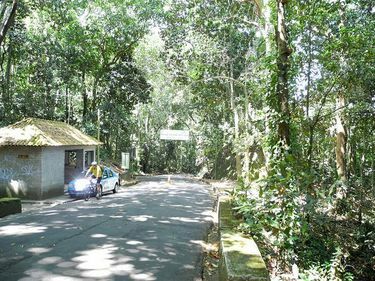 After taking in the amazing views, descend down jungle roads in Tijuca National Park, where you'll see waterfalls and exotic flora and fauna. Roundtrip transport from your accommodation and all bike equipment is included. 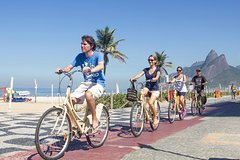 The Rio City guided bike tour takes you to numerous natural and historical attractions in Rio de Janeiro. 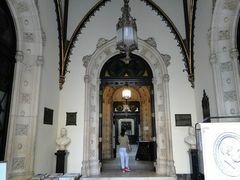 This tour is ideal for those who want to see most of the city in a fun and interactive way. The tour starts out in a central meeting location and has you peddling around Rio for 5-hours with your guide. 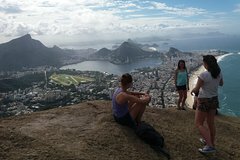 Spend the morning at Sugar Loaf Mountain, one of Rio de Janeiro's most famous icons. 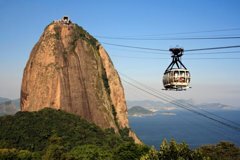 You'll take a breathtaking ride in a cable car to the top of the Sugar Loaf for panoramic views of one of the world's most beautiful cities. 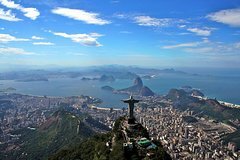 This morning tour takes you to one of Rio's most famous attractions and also includes a scenic tour of the city. 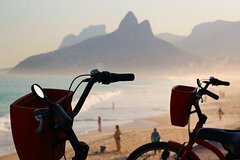 Ride your bike along the nicest beaches of Rio, from Ipanema to Leblon and Arpoador! 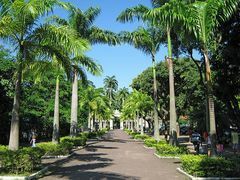 See Rio's south end from a different perspective as you cycle around the gorgeous Rodrigo de Freitas Lagoon, then discover why locals love hanging out in Rio’s great botanical gardens oasis. Finish it up with a sunset view with the locals at Arpoador Rock. Spin your wheels and come cycle through the ‘cycles’ of Rio! 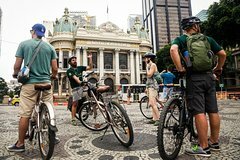 Hop on a bike and learn how Rio has developed over the years, and how its downtown and surrounding bairros have changed with the times. 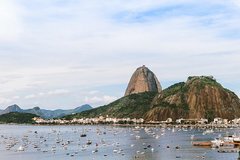 Breathe in the sea air of Guanabara Bay, check out Flamengo Park, snap a shot of Sugarloaf Mountain, and find out how the city shifted from its first settlements through to today. Bike through the Paineiras and visit the Famous Christ Redeemer Statue. See the views from the Chinese View and the biggest urban forest in the world! Corcovado and Sugar Loaf on the same day and yes, it’s possible! 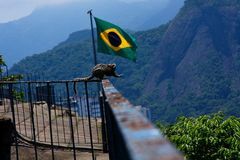 Gather round all your friends and familiars (up to 15) and enjoy a great opportunity to meet two of greatest Rio’s landmarks at the same day, on an intimate tour. 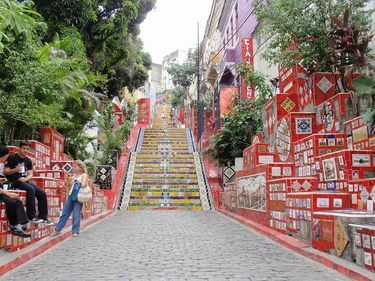 The transportation will pass through Santa Teresa and its unique charming architecture so you can visit the famous Selaron Steps. 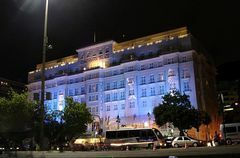 A van will pick-up and drop-off at most hotels in São Conrado, Leblon, Ipanema and Copacabana, leaving you with more free time to visit many other wonders. 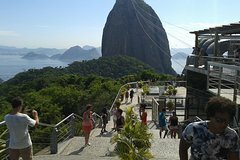 Combine visits to Corcovado and the Christ Redeemer Statue, the Selaron Steps, the Metropolitan Cathedral and Sugar Loaf mountain. 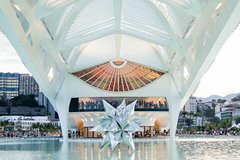 Hit four must-sees in Rio on this full-day 9-hour tour. 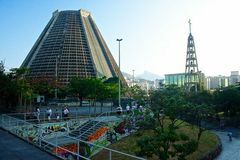 Start the day with a comprehensive city tour of Rio with a stop at the Metropolitan Cathedral, then ride the Sugar Loaf cable car overlooking Guanabara Bay. 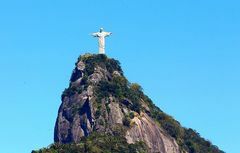 Refuel midday with a barbecue lunch at one Rio’s best barbecue Steak houses and then continue on over to see the Christ the Redeemer statue atop Corcovado and end your visit at the famous Selaron Steps before heading back to your hotel in time to catch dinner. 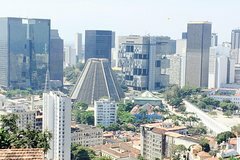 Round-trip transportation from most hotels in Copacabana, Ipanema, Leblon and São Conrado. 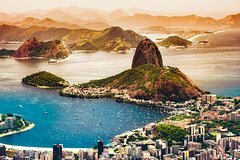 Enjoy a tour in Rio de Janeiro's most iconic attractions and visit Corcovado and Sugar Loaf on the same day and the best time for you. 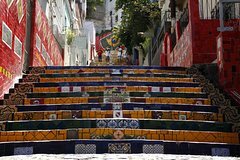 We will take your also to Santa Teresa with its unique charming architecture and to the famous Selaron Steps. 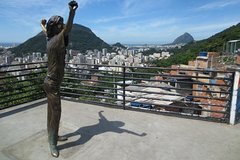 Leave behind the glitz of Copacabana and discover another side of Rio on this 4-hour walking tour. Follow an expert guide into the cobblestoned hilly neighborhood of Santa Teresa, where old meets the new. Inside revitalized belle-epoque mansions, uncover a thriving bohemian spirit: art studios, trendy bars and shops. Capture sweeping views from Ruins Park, browse through spontaneously organized art exhibits and then descend the well-known steps of Selarón Staircase. 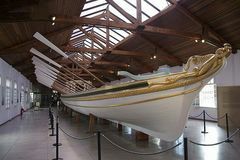 Learn history and receive tips on the latest hotspots of Santa Teresa from your in-the-know guide. Ride along Rio´s coast on a new Trek or specialized bike. 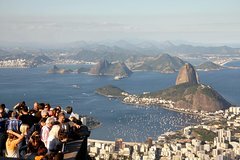 Explore Rio from Ipanema, Copacabana, Urca and Aterro do Flamengo. Enjoy great ocean and bay views and see Sugar Loaf Mountain at your own pace with this 3-hour bike rental. 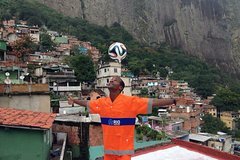 Visiting the Rocinha favela, one of Rio's hundreds of "favelas" (the Brazilian term for a slum or shantytown) and the largest in the country, is a local experience that gives you the chance to see Brazil from another point of view. 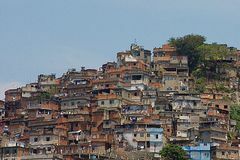 With a resident guide, take a non-intrusive walking tour to learn about daily life in the favela and gain insight into the challenges these communities face.Our pick-ups start at 13:30, however, our tour starts in Rocinha around 14:25. Duration of our tour including pickup and drop off is around 3 hours. Start the walk to get to the cable car to Sugar Loaf. 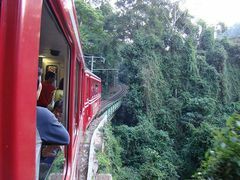 See the breathtaking views riding the cable car. 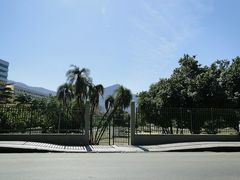 After visiting the mountains of Urca and Sugar Loaf, see Infante Dom Henrique Avenue in Flamengo Park. 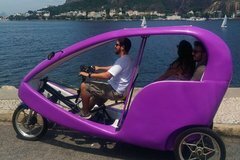 Explore Rio de Janeiro by bike!. 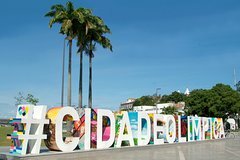 The program consists of guided tours of the botanical garden, visiting the Lagoon and Ipanema and Leblon beaches, Arpoador Stone and Copacabana. 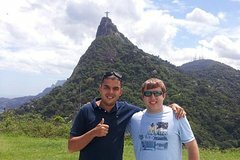 The tour is about 5 hours and offers the tourist a unique experience of being in direct contact with nature, even in a large metropolis as is the city of Rio de Janeiro. 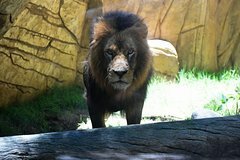 RioZoo is one of the most traditional zoos in Brazil. 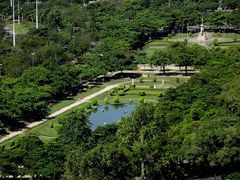 Located in the Quinta da Boa Vista Park, the place is undergoing a series of improvements to provide better quality of life for the animals, in addition to a more pleasant tour for the visitor. Here, in addition to admiring and discovering lots of curiosities of animal life, you can also come in direct contact with them nursing puppies in the farm. Get ready for an unforgettable adventure into the Brazilian rainforest and beyond with an expert local guide. 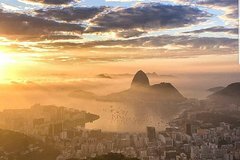 Beginning with incredible views of Rio de Janeiro from the top of the Corcovado mountain, you will instantly be reminded why this is one of the world’s most beautiful cities. 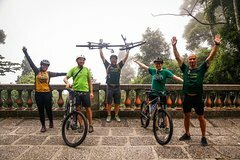 After gazing in astonishment at the world-famous Christ the Redeemer statue, we’ll hop on our bikes for the most extraordinary bike ride of your life! 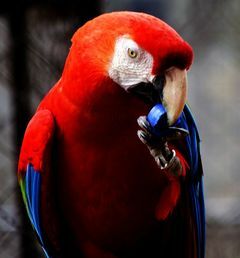 Fingers crossed for wildlife encounters with monkeys, toucans and other wild animals in this protected National Forest. 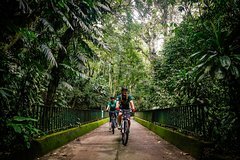 Welcome to the Rio Jungle Bike Tour; you’d be crazy to miss it! 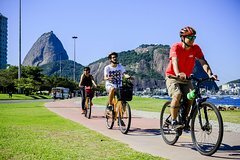 From Copacabana to Ipanema, Sugarloaf to downtown, this Rio bike tour shows you all the city sites you can see on two wheels! Prepare to burn mega calories as you spend the day cycling all over Rio de Janeiro. 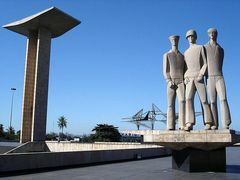 Learn about the city's development, see Olympic sites, explore a garden oasis, discover great architecture and street art, and watch the sunset from a lookout point that's loved by locals. 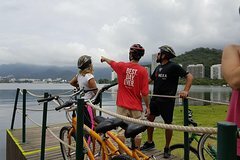 Join us on our bike tour through Rio de Janeiro, to discover Brazil’s most vibrant and beautiful city in a unique and sustainable way. Explore this city’s amazing nature, famous beaches and lively neighborhoods. Our leisurely paced tours are relatively effortless and cover a lot of ground in just a couple of hours. As insiders, our guides will show the hidden corners, and the bridges between the past and the present, to give you a whole panorama of the contrast of the city. 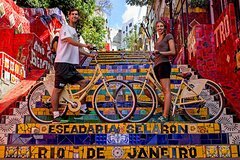 So book your BIKE IN RIO TOUR and enjoy the ride! 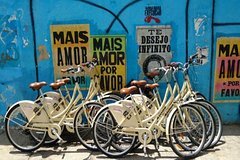 Join us on our cycle tour through Rio de Janeiro, to discover Brazil’s most vibrant and beautiful city in a unique and sustainable way. Explore this city’s amazing nature, famous beaches and lively neighborhoods. 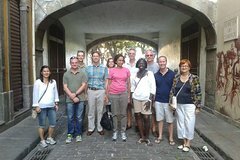 Our leisurely paced tours are relatively effortless and cover a lot of ground in just a couple of hours. As insiders, our guides will show the hidden corners, and the bridges between the past and the present, to give you a whole panorama of the contrast of the city. So book your RIO DE JANERIO PANORAMIC cycling vacations TOUR and enjoy the ride! The best way to really know the city you're visiting and feel like an actual local is by taking public transportation and walking through the streets to explore. 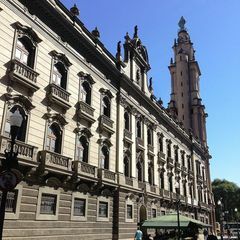 The walking tour is a small group tour with a "Carioca" guide and you will be able to see and learn about the cultural and historical part of the city and visit Downtown's main attractions. 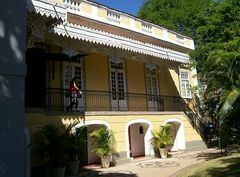 Discover the colonial and bohemian neighborhood of Santa Teresa while on this 4-hour private walking tour. 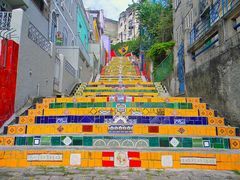 See the famous Selarón Steps, Lapa Arches, and vibrant Santa Teresa area with your local guide and small-group of no more than 15. 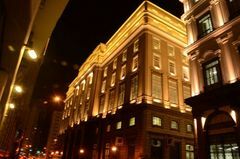 Explore the city to obtain a new view of this amazing neighborhood with your own exclusive guide. 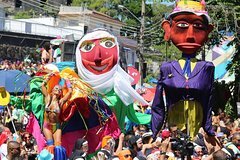 With this walking tour we will show to you that Rio is not only beaches, Carnival and caipirinha! 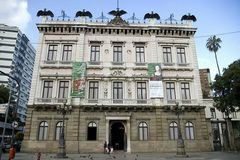 It is also one of the most important cities in the world in terms of culture, history, economy and natural resources. 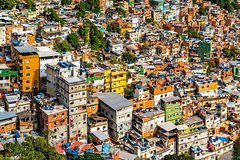 Rio's first pacified favela, Santa Marta is one of the few that is safe and accessible to tourists, with tours designed to attract attention and investment to help improve safety and conditions. 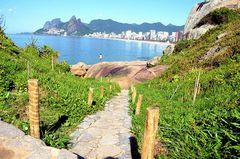 In addition to the self-guided and guided walking and bike tours and hikes above, many of Rio's lengthy beaches parks and neighbourhoods are great places for exploring on foot. Any of the areas linked to below offer plenty of opportunity for walking.